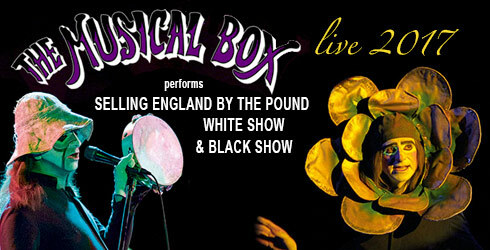 Canadian band The Musical Box return to Europe this fall and will present the legendary Selling England By The Pound show, mainly in its black version (that has never been played by Genesis in Europe). UPDATE: The band will perform a special "Lamb Encore" at each gig, i.e. 20 min of Lamb material after the full Selling England Show.